After having our taxes done this year, we settled into a local St. Paul, Minnesota restaurant called the Downtowner Woodfire Grill. Upon entering, we were seated almost immediately by a hostess who would become our waitress. She was very efficient at her job and served us our drinks/water immediately and then took our orders. 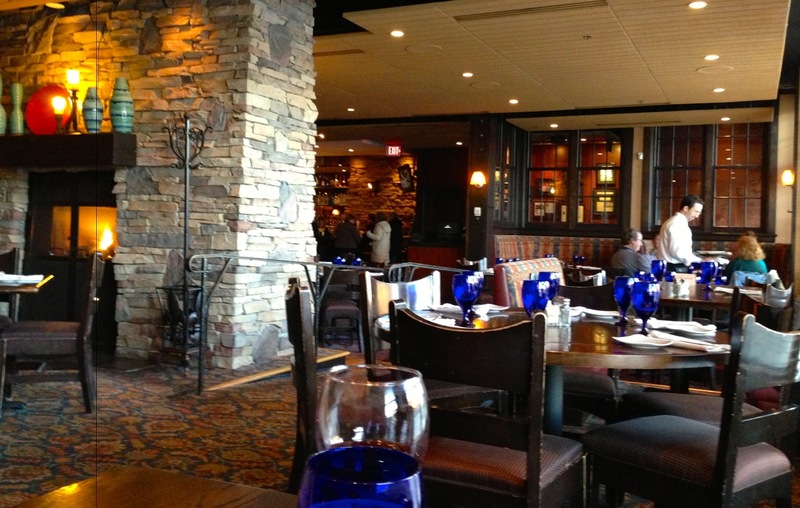 The restaurant has a quiet ambiance and I especially liked the fire that they had going. It made it seem relaxing to me — almost like I was at home. Our food came quickly and looked quite scrumptious until I took my knife and cut into the sirloin steak that I had ordered. Unfortunately, as seems to happen more often than not, it was not well done as I had ordered. So, the steak went back and they returned it in a timely manner. I’m not a big fan of horseradish and had never heard of it being added to mashed potatoes, have you? 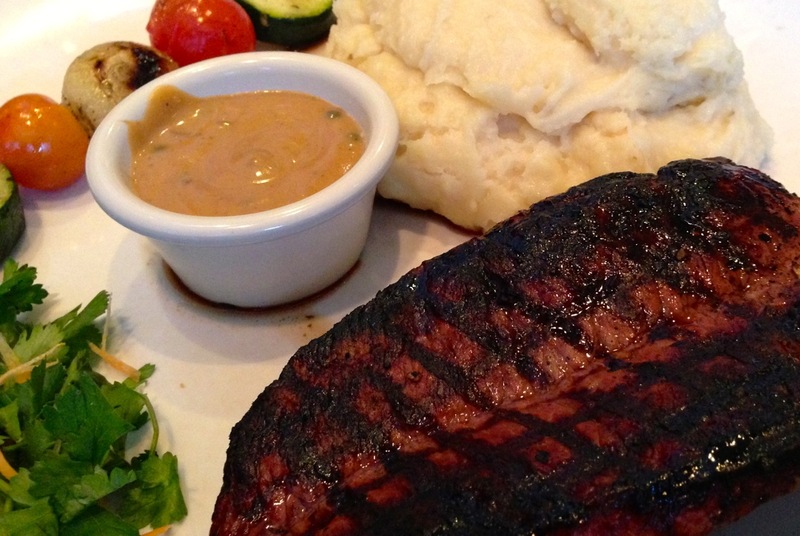 The steak does look a little overdone on the outside, doesn’t it? It actually tasted a little charred but good. We would definitely eat here again if we’re in the area. It is a little pricey though — the Tenderloin Filet was $29.95. The mashed potatoes were a treat for us because we’re not eating potatoes on our paleo diet — unless it’s sweet potato or yams.